LVS On FreeBSD is a subproject of LVS. 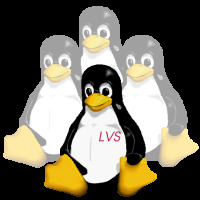 LVS On FreeBSD's goal is porting LVS to FreeBSD. More details about LVS see LVS project. 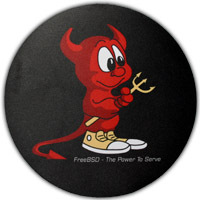 LVS On FreeBSD is released under GNU GPL(General Public License). You could find the latest release from here. I did a performance measure to LVS On FreeBSD(version 0.4.0) on June 6, 2005. The test report is available here. The LVS On FreeBSD module(version 0.4.0) was released on May 28, 2005. All LVS schedule algorithms have been included in this version. In addtion, it includes a kernel patch bug fix. Thanks must go to calvin for reporting it. The LVS On FreeBSD module(version 0.3.0) was released on May 16, 2005. LVS/TUN is included in this release. In addtion, it has been tested and run on FreeBSD 5.4-RELEASE. The LVS On FreeBSD module(version 0.1.3) was released on May 8,2005. With files: 'pfil.c', 'pfil.h', 'ip_output.c' removed from the patch. The LVS On FreeBSD module(version 0.1.2) was released on May 7,2005. With files: 'linux_list.h', 'linux_kernel.h' removed, replaced by corresponding FreeBSD API. The LVS On FreeBSD module(version 0.1.1) was released on April 28,2005. It includes these new features: 1. Improved route searching by caching route result; 2. Replaced Linux list API by FreeBSD queue API in IPVS module codes; 3. Some code tidy up. More documents see LVS Project.